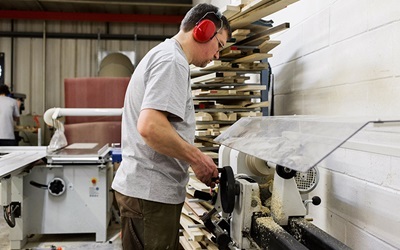 Our team of designers are based at our two showrooms, situated in the heart of Kent and Essex. We work with clients all over Kent, Essex, London, Surrey and Hertfordshire. We have dedicated installation managers who project manage all installations, and are always on hand to ensure each and every project runs smoothly, and to our client's exact expectations. Read more about our friendly and skilled team here. 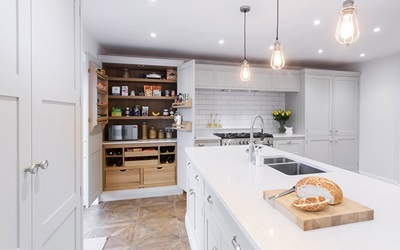 Burlanes Sevenoaks is situated on Dartford Road in Sevenoaks, Kent, and showcases a range of our handmade kitchen, bathroom and bedroom designs. 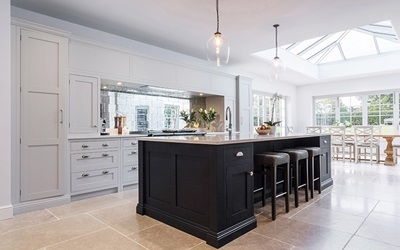 We have a fully functioning AGA Total Control, BORA Cooktop and Quooker boiling-water tap on display, along with a number of beautiful custom built furniture pieces, as well as Silestone Quartz surfaces, and Ca'Pietra flooring. Burlanes Chelmsford is situated on Springfield Road in Chelmsford, Essex, and our newest showroom boasts an extensive range of furniture: the three Burlanes kitchen ranges, bedroom furniture, bathrooms, bootroom, utility/laundry room, our signature breakfast pantry as well as fitted wardrobes and home accessories including tiling, sinks, taps, worktops and lighting.